Brooklyn in the house!! 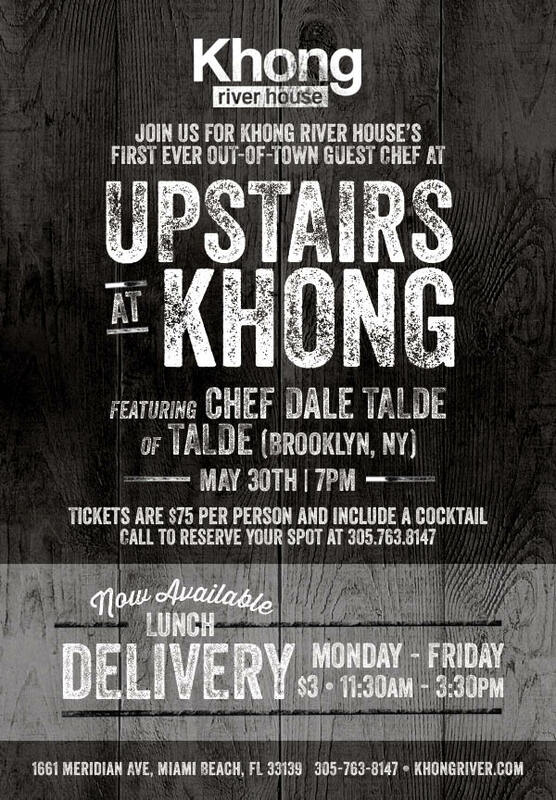 Top Chef fans here is your opportunity to enjoy the cooking of Dale Talde Upstairs at Khong on May 30. Dale opened his first restaurant Talde in Brooklyn in January 2012. He is also part of the team behind Pork Slope and Thistle Hill. Prior to that he worked with Chef Masaharu Morimoto at Morimoto. Subsequent to that he joined the kitchen of Buddakan, serving as Chef de Cuisine. In 2011, Dale was named Director of Asian Concepts for STARR Restaurants, consulting on various projects and assisting with the opening of Makoto in Bal Harbour, Fla.
See you Upstairs @ Khong!!! !